The perfect memento for their First Holy Communion, this stunning, simple and minimalist cross necklace is a great First Holy Communion gift. 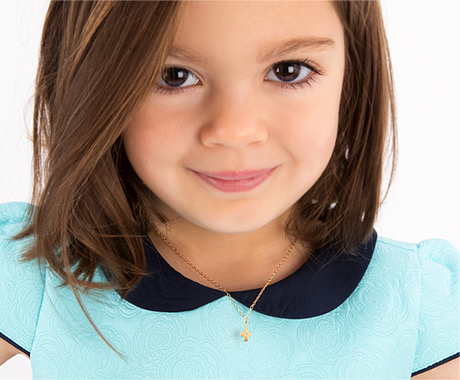 Perfectly appropriate for boys and girls, you can't go wrong with this essential piece. Made with 100% solid 14k yellow or rose gold, the brilliant cross is gender-neutral, a great addition to his or her Communion outfit. They will shine even brighter on their special day with this modern cross necklace. Presented in Tiny Blessing's signature gift wrapping, it will be remembered forever!